His power: Banshee has a sonic scream that he can use to deafen opponents, create vibrations of different intensities, and send himself flying as he rides the soundwaves. His story: Sean is using his powers to flirt with a girl at the aquarium when he first appears in X-Men: First Class. While his fish-tank vibrations don’t get him anywhere with the girl, they do impress Charles Xavier and Erik Lehnsherr, who recruit Sean to join their new C.I.A.-sanctioned team of mutants, where he earns the name Banshee. He shatters the glass window of the team’s hangout in the C.I.A.’s covert research base, but he gains greater control of his abilities as he trains to take out the Hellfire Club. He learns how to use his sonic scream for flight, and this skill comes in handy when he faces off against the airborne Angel during the X-Men’s climactic fight with Sebastian Shaw’s evil entourage. 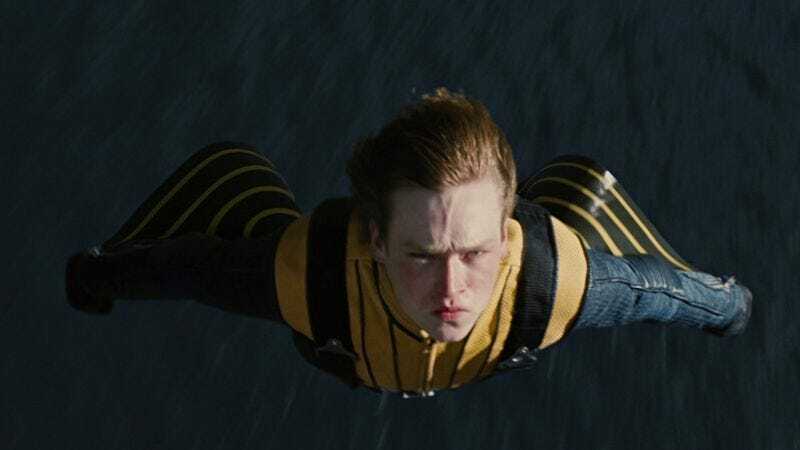 Banshee sticks with the X-Men at the end of the movie, but his sonic scream is silenced forever when he dies at some point before X-Men: Days Of Future Past. Played by: Caleb Landry Jones. Where will we see him next? Most likely nowhere, unless there are any flashbacks or trips back to the past of First Class in future X-movies (which is totally within the realm of possibility).